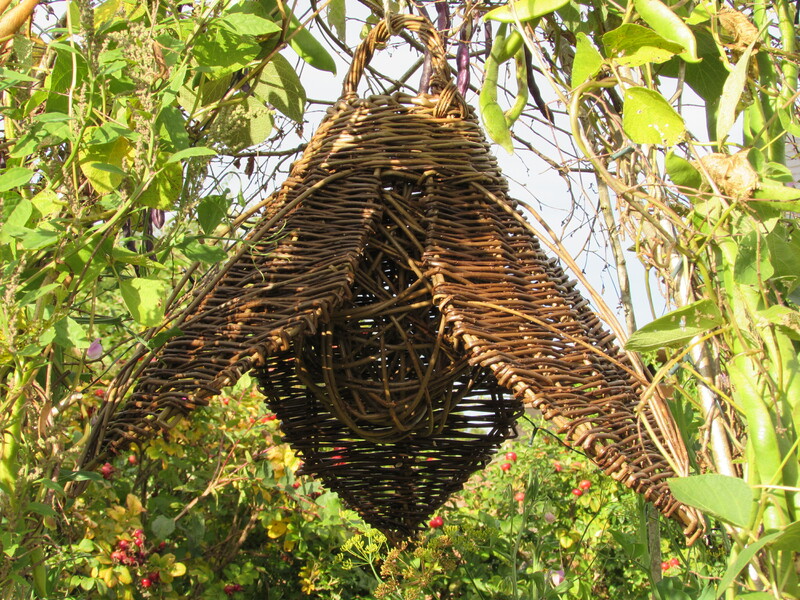 Join me at RHS Rosemoor in Devon next year to make either a Willow Zarzo Basket on either the 15th or 16th March or Willow Flower Lantern on either the 31st May or 1st June. I’m really delighted that RHS Rosemoor have asked me to teach two of my favourite willow weaving workshops for them. Developed in Denmark, but now increasing popularity in the UK, the Zarzo basket is a brilliant way for absolute beginners to create a stunning large willow basket in a day. Whilst this basket may not be able to carry a heavy load of potatoes, it is great for fruit, lighter veg and your shopping! I developed and created the Willow Flower Lantern myself after sitting out on my newly made ‘Mediterranean feel’ patio last year. I wished for a unique outdoor lantern, lit by LED lights, that would hang from my gazebo and be the centre piece to dine beneath in the evening. Having taught this workshop throughout 2018 I now know that may of these beautiful lanterns never even make it outside, they look beautiful as interior lampshades too! Both of these day long RHS workshops cost £90 (member) and £105 (non-member). For more details and to book please click on the dates above or head to the RHS Rosemoor website. ← What a difference heat makes!